under lever with scope mounted Pics? 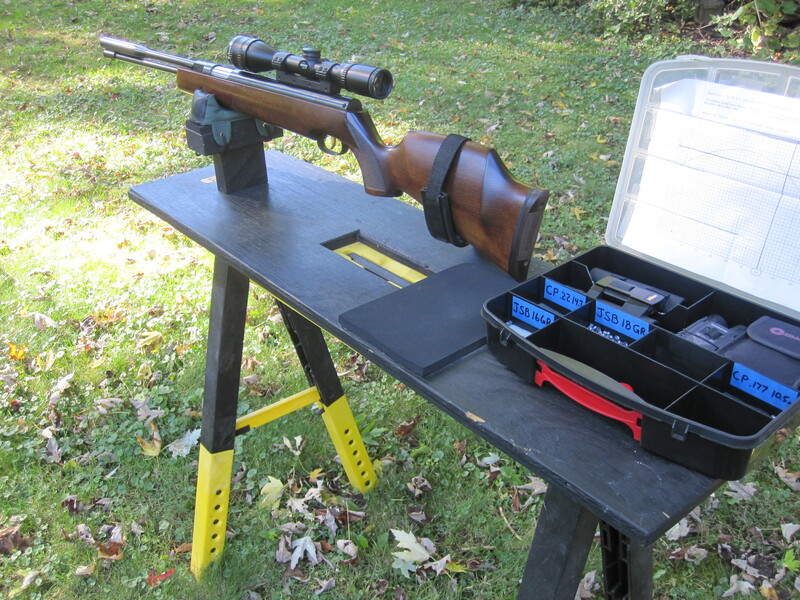 Forums › Optics, Scopes, Rings, & Mounts › under lever with scope mounted Pics? most scopes ive been wanting over-hang the loading chamber, do yours do this and can you still load ok? Should not be an issue ( tho extreme individual circumstance might well change that. Personally have NO use of right thumb so…. ) if I could find them I've many pictures of LONG scoped 97's used in Field Target. Did find an old TX picture and you can almost see just how bummed the shooter is using a under lever and I believe a Bushnell 4200 (?). I would'nt think you'll have issue one but personally like a lighter scope to avoid top heavy in a factory 97 stock. Should not be an issue ( tho extreme individual circumstance might well change that. Personally have NO use of right thumb so.... ) if I could find them I've many pictures of LONG scoped 97's used in Field Target. .177 HW97K with Swift 4-12×40 and Sportsmatch one piece mount. Scope is 12 1/4" long and does not cover loading port. .177 HW97K with Swift 4-12x40 and Sportsmatch one piece mount. Loading port is covered on all of these springers, once you do it a few times and get into a rhythm it’s not much of an issue, not sure about with a bum thumb though. Occasionally I will miss and have to shake the pellet free of chamber. That’s a Hawke sidewinder 3-12×50 on the HW that’s no longer available and I no longer own. Loading port is covered on all of these springers, once you do it a few times and get into a rhythm it’s not much of an issue, not sure about with a bum thumb though. Occasionally I will miss and have to shake the pellet free of chamber. That’s a Hawke sidewinder 3-12x50 on the HW that’s no longer available and I no longer own. where did you get the nice lever handles? HW77 With Sightron 4X16 plenty of room. LGU with Athlon 6-24X50 Talos. I have a Leupold 6.5-20 EFR on my HW97. It has a 40mm objective and sits in a high, one piece Sportsmatch mount. The bell covers the loading port but I have no trouble getting my thumb in to seat a pellet. HOWEVER, upon trying an old Beeman Pell Seat one day I discovered that I was not seating the pellet as well as I thought with my thumb. With the Pell Seat I could feel the pellet go in just a hair more and align better in the bore. My accuracy has become slightly more consistent using the Pell Seat and I no longer find tiny specs of lead in the loading port. Not sure who makes a tool to seat pellets these days, but if you can find or make something I would recommend it for use in the 97 if your scope covers the loading port and/or you have a bad thumb. This reply was modified 2 months ago by r1lover. Nice pics of some really beautiful rifles gentlemen.